How pleasant it would be ?, if everyone on the planet is happy with peace, harmony, caring, nonviolence and unity of oneness as in times of natural calamities or in any disaster. Hope this day is never gonna come on the planet. But try our best to keep peace, harmony, unity, and nonviolence in our little communities and later expand this thing to town, city, state and later country and thereby the whole planet. 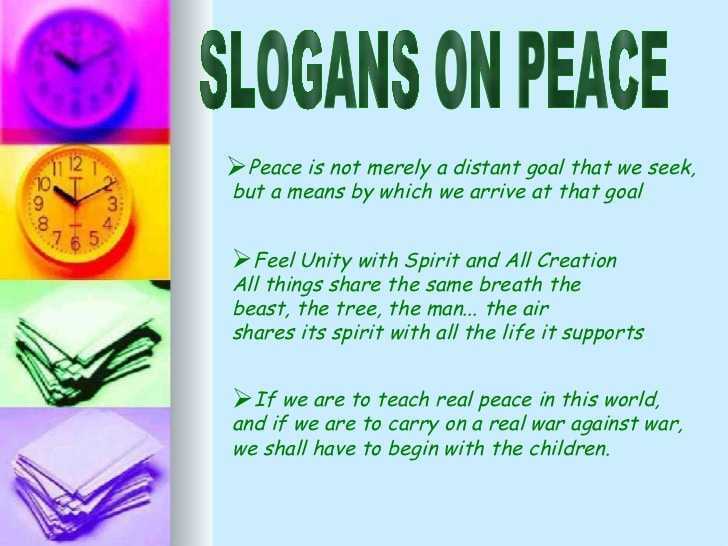 On this special day, International day of Peace, let us say some slogans of peace to aware the need and urgency of peace on the planet with few special slogans which have shared below. Feel free to download them as use as they are free. 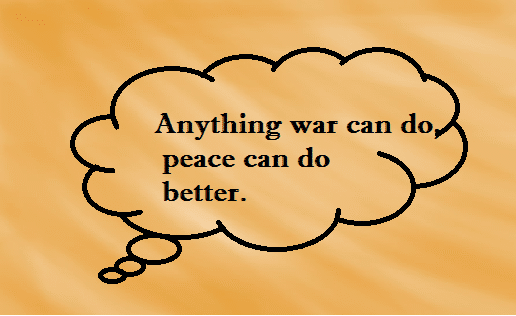 Anything Violence can do, Peace can do better. Let’s stand hand in hand, to have peace in the land! Yes to Peace, No to War. To live in a better world: more peace, less pain.